There's an easy way to get to work without boiling on the bus, train or Tube or sitting in traffic, and save money too: ride your bike. Here are nine reasons why cycle commuting is a good idea followed by our tips for getting it right. No, we don't mean it's hip and happening, baby, we mean that with some Tube lines hitting 40°C, and people sweltering and getting grumpy on over-crowded buses and trains, riding your bike is far and away the most comfortable way to get to work. Sure, you'll get sweaty, but take it easy and you'll end up much comfier than if you were crammed in a badly-ventilated metal box with a bunch of other people. You have to buy a bike if you don’t already own one, and you’ll probably want some bike-specific clothing like a waterproof jacket, but you don’t have to spend a fortune. If your employer offers the Cycle to Work Scheme then you can make major savings on bikes, cycle clothing and accessories up to a top limit that’s usually fixed at £1,000 (if your employer doesn’t offer a Cycle to Work Scheme, ask them to set one up). Essentially, you pay nothing upfront, and then regular sums are taken tax efficiently from your salary by your employer. You can save hundreds of pounds and spread the payment interest-free, and you can use the bike for non-work-related rides too. We all know that being active is A Good Thing. The Even Better Thing about riding to work is that you can get fitter without really thinking about it. You don’t have to motivate yourself to do some exercise, you just go to work and the fitness happens, so you're getting something positive out of what might otherwise be dead time. You could save money on gym fees too. Of course, if you want to turn a longer commute into a proper training session, that’s easily done. Cycling can be the fastest way of getting from A to B, particularly in a congested urban environment. You can filter through stationary traffic, use uncrowded cycle lanes, get off and walk past snarl ups… You don't even have to cycle the whole journey. With a folding bike you can ride some of the way to work, then jump off and quickly fold the bike down before getting on the train, for example. Okay, you might occasionally need to spend a few minutes replacing a punctured inner tube, but that’s nothing compared to the amount of time you can spend sitting in a queue at temporary traffic lights or waiting for a delayed train, and there’s no chance of strikes stopping you from getting to work. If you cycle you pretty much know how long your commute is going to take so you don’t need to factor in wiggle room to account for any delays. Sitting in traffic: not fun. Waiting on Platform 2 for the 08:22 to Bristol Temple Meads: not fun. Standing up on the packed Tube halfway round the Circle line: not fun. Riding a bike: fun. Maybe you can take the towpath or the back lanes on your bike – you know, go somewhere that’s actually nice on the way to and from work. Cars really aren’t good for the environment – we can all agree on that – and anything that cuts vehicle emissions and congestion has to be good news. Riding to work really isn’t the rigmarole that some people think. In fact, it's very straightforward. Once you have your bike set up it’s just a question of establishing a new habit. 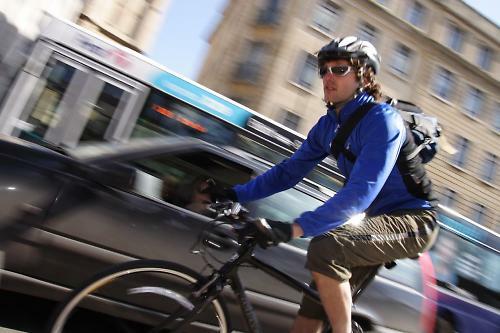 Commuting by bike will soon feel like the normal thing to do. Here are our top tips to help you get to work the fun and fast way. Unlike when you're driving, there's no advantage to using major roads when you. cycle On a bike your top speed is limited by how hard you’re able (or willing) to pedal; you can’t go any faster on bigger roads. That means that you can avoid the fastest, busiest roads in favour of quieter ones without your average speed suffering. It’s often the case that the quiet roads are more direct, too. Get yourself a map and work out some options. Expect to have to experiment a few times with routes before you find the best one. Google Maps is a useful tool. Use the cycling option and it’ll automatically make a route that you can then easily drag around to suit your preferences. Cyclestreets.net is another great online tool. It will provide you three routes between your home and destination: fastest, quietest and a ‘balanced’ intermediate. It also has apps for iPhone, Android and even Windows Phone and Blackberry 10 so if you can mount your phone on your handlebar, you can easily follow the route it provides. Cyclestreets will tend to route you along cycle paths if it can, but they’re worth keeping in mind even if you’re planning your own route. They won’t always be an option, but traffic-free routes are good if available. 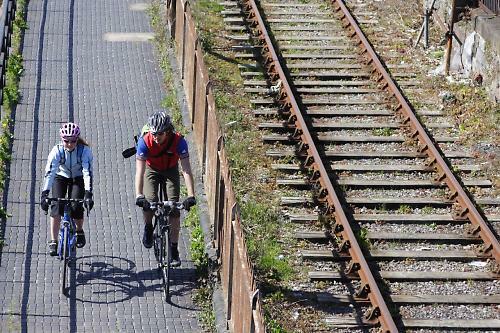 Look for other alternative transport corridors like canal towpaths, too. They’re not always lit and can have unpredictable surfaces, but at this time of year that shouldn’t be a problem. Plenty of other apps out there will also help you devise your route. If you get hooked on bike-commuting, remember that you don’t have to use the same route every day, or even at both ends of the same day. One of the joys of cycle commuting is the freedom to take a longer, more scenic, or – if you’re training – deliberately harder route if the mood takes you. Most experienced cycle commuters have a selection of routes from which they pick and choose according to conditions and whim. If you're new to mixing it with traffic, you’ll benefit from some extra skills and knowledge to ride safely on the road. 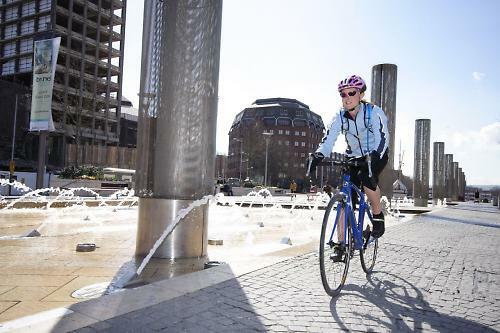 Several organisations offer adult cycle training, with qualified instructors to help you get to grips with busy roads, complex junctions and so on. If your commute takes you on roads (and most will) and you’re not hugely confident, then a day’s training will make a big difference. You’ll certainly need lights if you're planning to commute by bike right through the year. Some riders use lights during daylight too; modern LED lights are so compact and efficient that there’s little downside to using them. After dark, lots of reflective material (either on your clothing or stuck to your bike) is a good idea too. Get yourself as visible as possible and you’ve got a chance of getting the attention of slightly inattentive drivers. What you wear to ride depends on a number of factors. You can ride a short, easy commute in your normal work clothes. If you don’t have to raise a sweat then there’s little reason to change, and you might be surprised how far you can ride with little effort. If you’ve either got a significant distance to cover, significant hills to scale or you just like going fast, then wearing cycling kit for your commute makes sense. That means you’ll have to change at the office so you’ll need some way of getting your civilian clothes to work. This is straightforward if your workwear is something other than a smart suit: just roll it up and put it in a rucksack or pannier. If you need to be smart it’s trickier. There are panniers and rucksacks available that are specifically designed to carry a suit, so that’s an option. Remember that you don’t have to take all your clothes every day. A popular strategy is to leave the suit at work until it needs cleaning and bring in a fresh shirt, pants and socks each day. Or bring a week’s shirts on Monday and travel light until Friday evening when you bring it all home again to wash over the weekend. Inevitably you’ll have to carry some stuff with you to work. If you don’t need to take much, a rucksack or shoulder bag is fine. Some people swear by rucksacks because they’re fuss-free: step off the bike and your load comes with you. Go to our bag reviews. Others can’t stand carrying things on their backs and swear by panniers because weight on the bike is more comfortable. You can carry a lot more in panniers and you don’t get a sweaty back. If you plan to fit a rack, make sure that you choose a bike with the necessary mounts. You can get racks that work with any bike, but good ones are expensive. Choosing the right bike is something of a challenge, particularly if you’ve not had much to do with bikes before. This is where a good bike shop comes in. They’ll be able to narrow down your options based on the nature of your commute, how much you need to carry, whether you plan to ride in all weathers or just on nice days and of course your budget. The best bike for a commute across a busy urban area isn’t the same as the best bike for a longer trip along open roads out of town, and the best bike for riding to the station and taking with you on the train is different again. However, if you already have any sort of bike, you might just want to make sure there’s air in the tyres and the brakes and gears work and go for it. Find out now if there’s anywhere in your building or nearby that you can safely park a bike. If you’re going to have to leave it on the street, get yourself a high-strength lock and see our tips to stop bike theft. Got advice for your fellow cycle commuters? What do you wish you'd known the first few times you set out to work by bike? Tell us in the comments, below. NB iy *can be* tax free. Depends on the employer. But if it (Cyclescheme I presume?) isn't tax free, then there's little point in using it. I should but stand on my feet all day, no lunch break without some issue to sort out and then get home only to work till midnight and get up at 0630 to dash to work. I’m quitting soon to have more work life balance but it does pay for house, bikes, holidays and cars. Plus I’m always late for work, wear a suit and no clean showers at work. Carrying flies on the bike in rain and cold weather. All of the above are excuses to drive lol. I commute from the suburbs of Reading to Camberwell, on a Brompton it's quicker than public transport if I only use the Reading to Paddington train. Very few people need to drive. Most could and should commute by bike. Cycle commuting does all the above and more. First off, a lot of people will suggest insuperable barriers that preclude riding to work. Proving them wrong will be satisfying and you might start to wonder which other shibboleths aren't wholly true. Next up, you're going to have to plan for the weather. Rain gear, sun cream, etc, you'll be looking at the weather forecast with genuine interest as you'll be a participant rather than an observer from behind a windscreen. When someone complains about the lack of sunshine or how their garden is suffering in the heat, you'll be recalling exactly what the weather was like because you were in it! Finally, you'll be carrying kit to work so why not slip in a packed lunch? 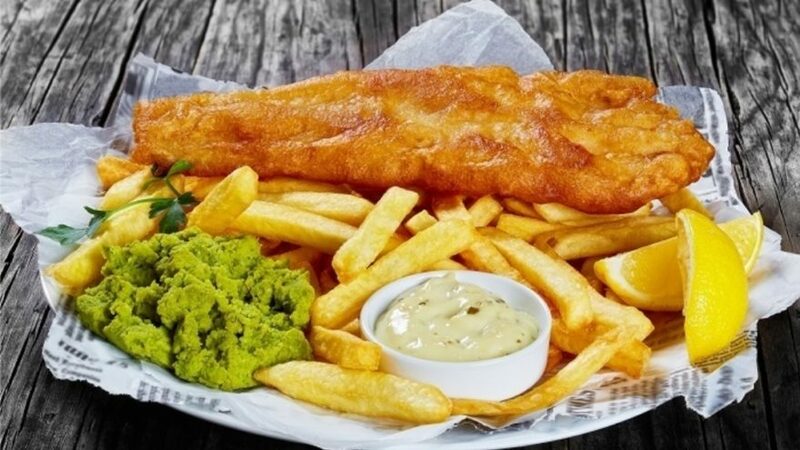 Healthier eating and another saving on your wallet. At this rate you can afford that carbon fibre number (or be boring and knock a few years off your mortgage). Recently changed jobs and working from home now. Really missing the daily commute, particularly in this weather. On the plus side, quieter roads around here, lots of variety, and I can flex my ride length according to how busy I am. Only current downside is Hants CC love using surface dressing this time of year, all my preferred routes are coated in the stuff. Preaching largely to the converted, but I'm at a loss as to why people would rather suffer two daily journeys on, say, the Northern line than swing a leg over a bike - particularly when it's nice and sunny outside and therefore 40 degrees on the Tube. But then, most people in my office think you have to be Bradley Wiggins to ride twenty miles a day. Hell, I was approached by an able-bodied person in their late twenties a few weeks ago who wanted me to sponsor them to walk, yes WALK, 5km. Something to add to "4. You can save time" - you don't need to make time to go to the gym, or go for a run (or whatever your current exercise regime is). >4. You can save time. 10. You will be despised by 99% of the population, and subject to daily attempts to kill you. The state will not prosecute those who try to kill you, but will prosecute you if you try to defend yourself.